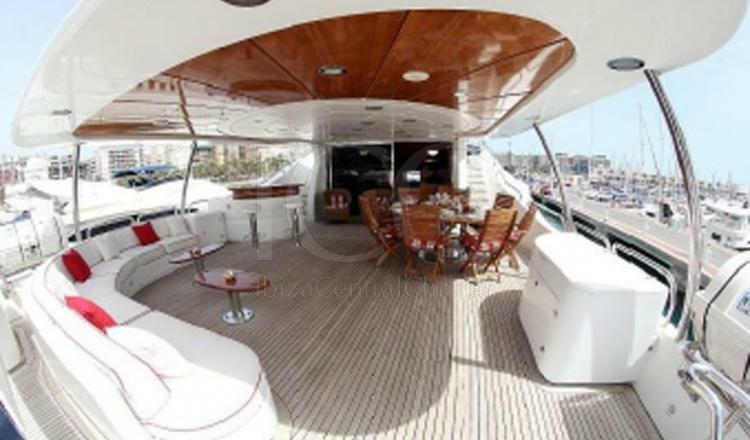 Yacht for rent of 30 meters ready for your family vacation. 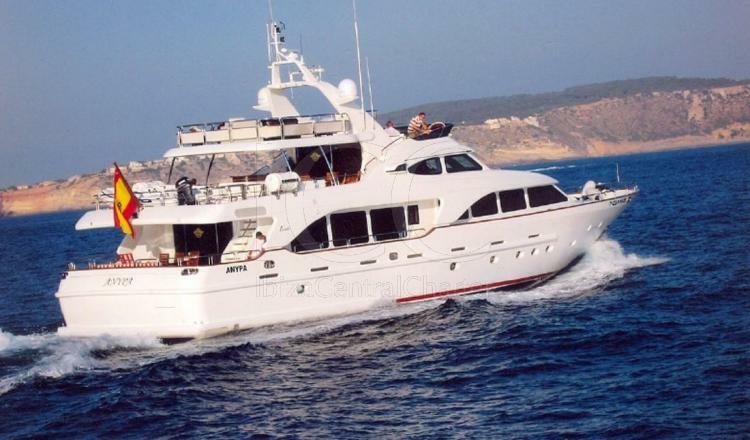 This is one of the most unique Benetti charter yachts with high end designs and technologies in addition to the best quality and equipment. In addition, the yacht has an incredible crew ready to welcome and serve customers. 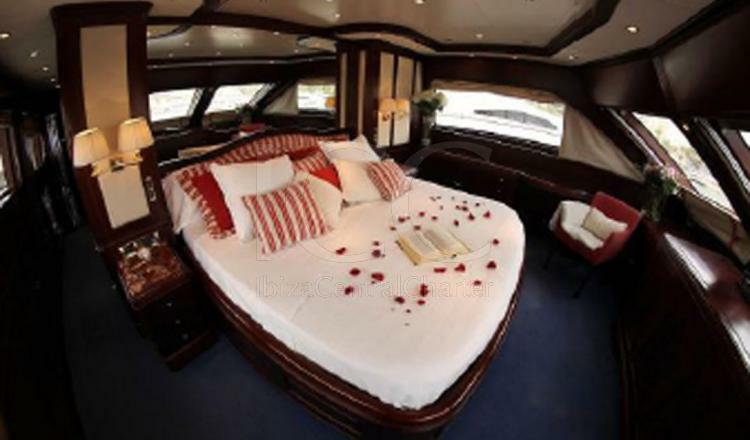 This yacht offers a huge space divided between its 3 decks that have many areas to relax like in a jacuzzi on the sun deck or a hot tub, outdoor lounges and dining rooms and more. There are also many water toys available to enjoy and have fun by the turquoise waters of Ibiza and Formentera. - A cabin with king size bed and TV, and also Hi-Fi, safe-deposit box, closet, bathroom with bath, private office and A/C . 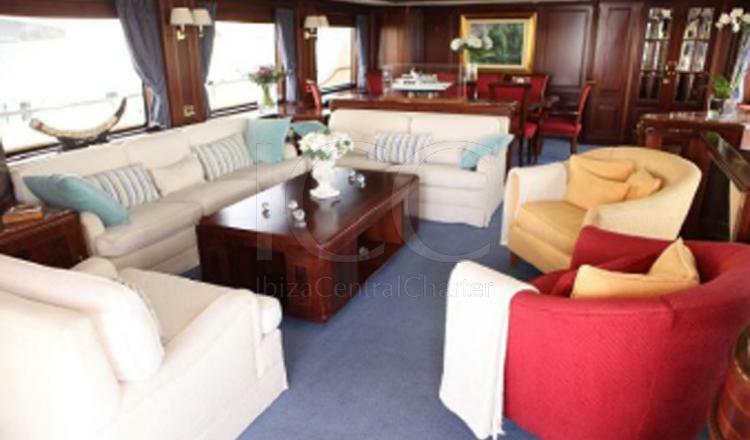 - Two cabins with twin beds with TV and Hi-Fi, safe-deposit box, closet, bathrooms and A/C. - Comprehensive insurance for the boat and personal accident insurance. - APA (Provisioning): 30% of the rental price. It can be paid in cash or VISA. 50% to make the booking by bank transfer, 50% boarding day.